Learn how to give your students a physically and emotionally safe learning environment with conflict management strategies, crisis planning, bullying prevention tips, and much more. Do your students arrive every morning to a welcoming, supportive school environment? Do they trust you and your teachers to keep them safe? Learn how you and your teachers can nurture supportive relationships with students, develop conflict management strategies, prevent different forms of bullying, establish high expectations for students and staff, and encourage celebration. Youll also see why parent involvement creates a positive and welcoming school atmosphere. Learn how to integrate conflict management strategies into the school building. Find out how to introduce schoolwide standards for student and staff problem-solving and conflict resolution. 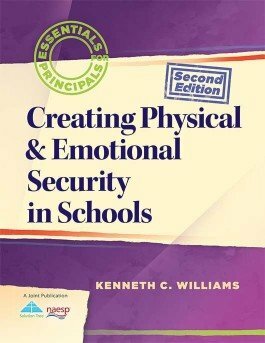 Develop an effective whole-school policy for behavior and discipline that focuses on teaching behavioral expectations. Identify ways to address and prevent bullying, including cyberbullying. Explore crisis planning and prevention tips.